This has been an amazing year of ideas, creativity, play and planning for me. I want to thank YOU for joining the Creative GIRL circle and thank you for coming out and playing with me and the other girls. I also want to thank your families for believing and trusting in my ideas so I could get Creative GIRL out of my head and into our corner of the world in Raleigh/Wake Forest! Weeeeheeeeee! You see???? This is the power of a creative idea coming to life! Together we brought lots of play, energy and creations to the world (and wasn’t it fun!?). 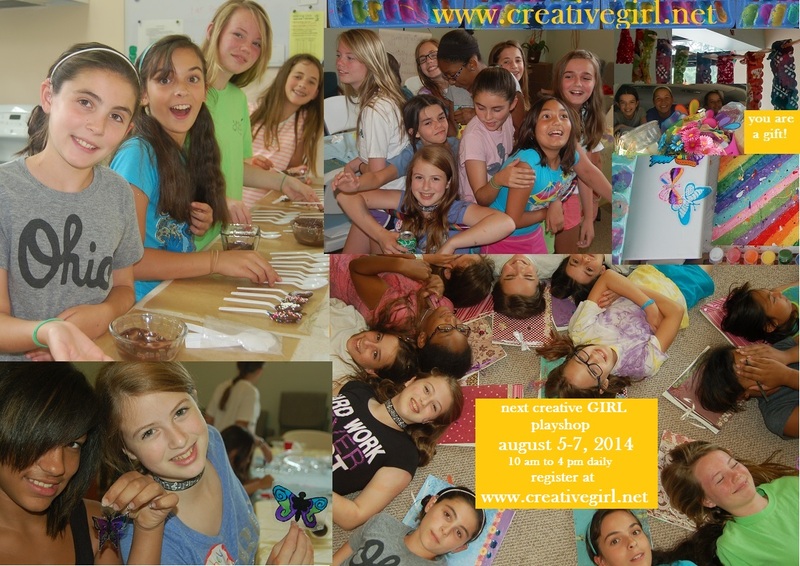 Without YOU there would be no Creative GIRL program. Beautiful Powerful CREATIVE GIRLS, YOU are the reason I started this program! I believe in you and I want to do do all I can to support YOUR creativity and joy in the creative process! 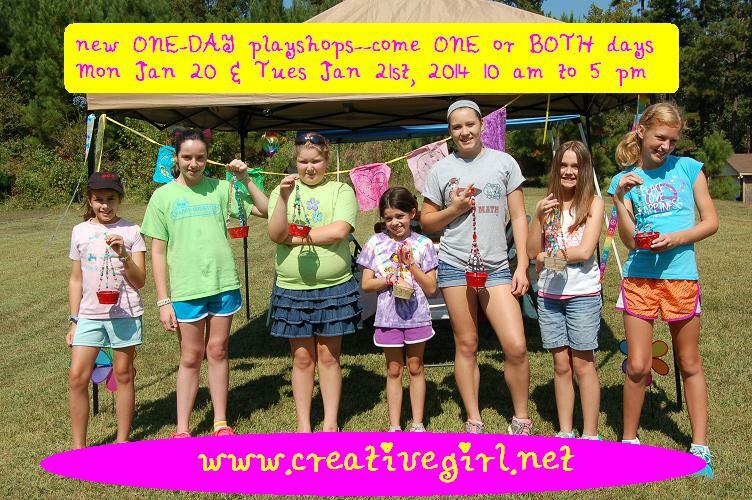 I’m working on the next Creative GIRL playshops, happy to announce they will be January 20, 2014 AND January 21st, 2014. These playshops will mean a bit longer day than previous playshops as I want to get as much into each day as possible, so we’ll play from 10 am until 5 pm. It’s going to be a blast! You can sign up for ONE day OR TWO, YES come to both days if you are on Wake County’s calendar! Cost is $60 a day and includes your supplies. TootoDOoooo! trumpets are calling all middle-school-aged Creative GIRLS to the Winter one or two-day playshop! We are playing from 10-5 (yes new times) and focusing on the power of Creative Kindness in our KINDESS IS CREATIVE PLAYSHOPS. CHOOSE ONE or BOTH dates! ❤ MONDAY January 20th, 2014, 10-5 you’ll make TWO warm fleece blankets: one just for YOU and one for Project Linus–an org giving handmade blankies to folks in need of a little fuzzy kindness! 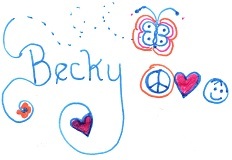 We’ll also make some fleece scarves: some for you, and some to gift to a cause we determine when we are together. ❤ TUESDAY, January 21, 2014, 10-5 come and learn the art of making handmade books. You’ll make and decorate two different book types. You’ll also make a couple extra books to gift to kids undergoing cancer treatment at the Ronald McDonald House in Durham. ✿ Class size is limited to keep it personal and fabulous! Bring your own lunch and water bottles, PLUS your creative ideas for target benefactors. ✿ Playshops are held in Northeast Raleigh close to Rolesville/Wake Forest. Address will be sent via email. photo video from our july playshop– J O Y! So much gratitude to the girls from the summer playshops. The girls in this video came to play in the July session. I had so much fun getting to know each of you and learning more about creativity because of our time together last month. 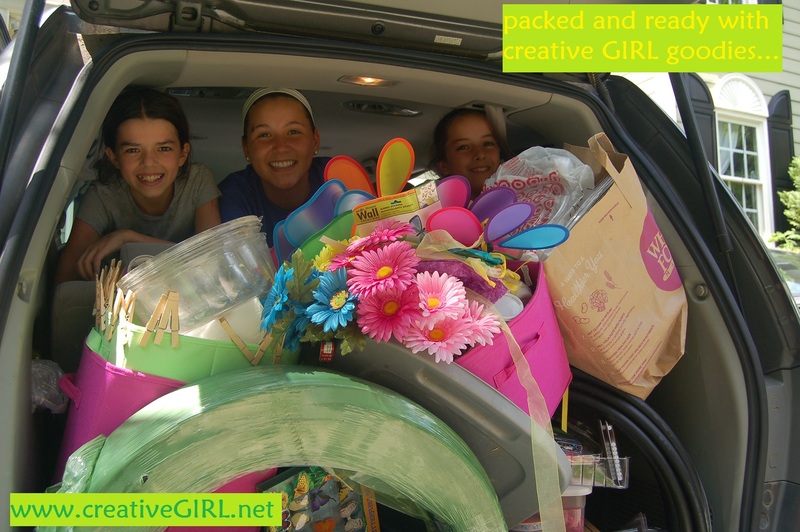 You are amazingly creative, smart and powerful girls!!!! 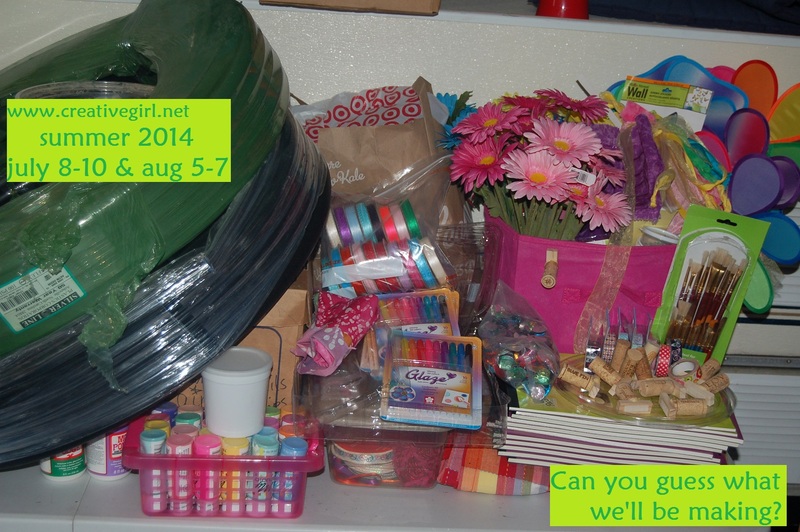 Next playshop for girls who’ve done the intro program is Oct 3-4 from 10-3. Email me to reserve a spot (8 remaining). If this date doesn’t work, let me know when you are on break and I’ll organize another one.